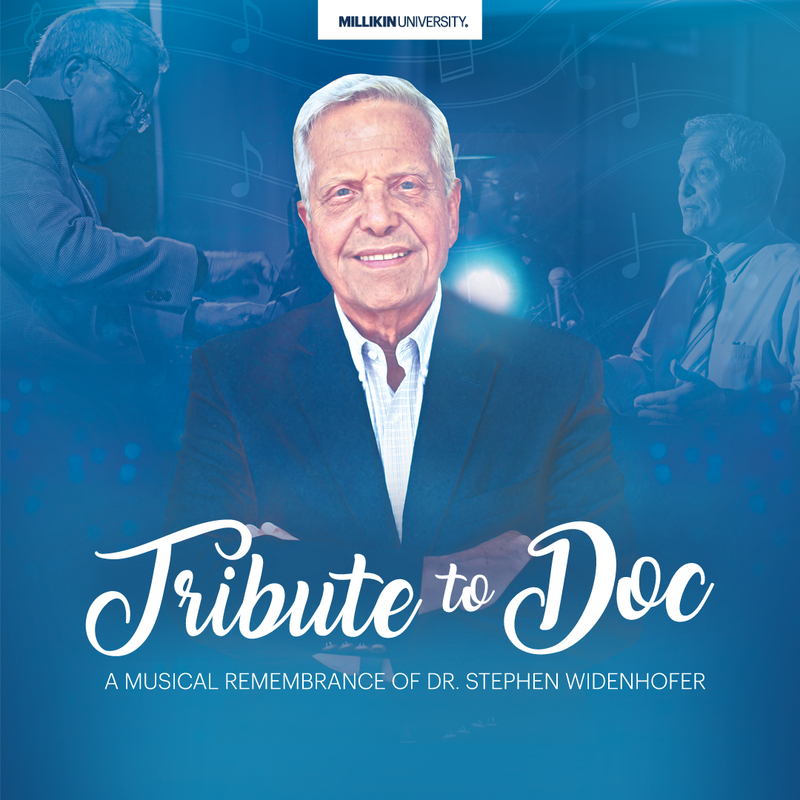 Join us as we pay our final respects to our colleague, mentor, teacher, and friend in “Tribute to Doc;” a musical send-off featuring Millikin’s Vocal Jazz ensembles. Over his 35-year tenure at Millikin University, Dr. Steven Widenhofer [“Doc”] was responsible for a variety of University successes, administrative accomplishments, and curricular changes. He was the driving force behind the transformation of Millikin's Music Business degree, and formed Millikin University's Vocal Jazz program. His flagship ensemble, OneVoice, has become recognized as one of the premier collegiate Vocal Jazz groups in the United States. “Tribute to Doc” will serve as a musical remembrance of this remarkable man and the legacy he leaves with us all.